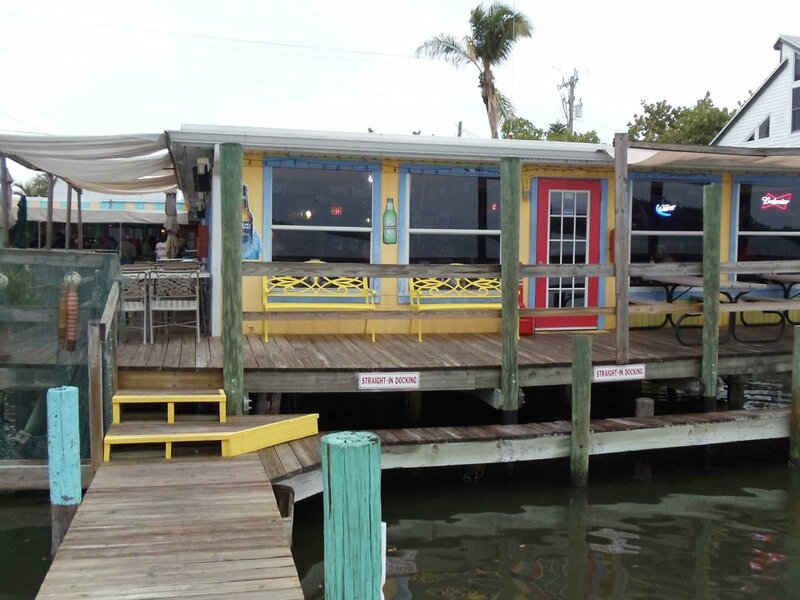 Bert's Bar and Grill is a Florida beach bar located in Matlacha. Discover this great Florida beach bar. Bert's Bar and Grill is located in Matlacha. Matlacha is a little fishing village just east of the bridge over to Pine Island. There are cute shops and little motels and cottages in Matlacha and Bert's Bar. Blink when driving through Matlacha, and you will miss this Florida beach bar. Bert's is a little dive of a restaurant on the waterfront in this Old Florida type town. There are a series of rooms joined together that form the bar area and eating areas. You can eat outside on the deck. There is also a little bar area on the outside deck. This a great little Florida beach bar. There is a lot of history to this 70 year old beach bar. During WWII, this little house was a hotel and popular with the soldiers stationed nearby. There is a lot of history at this Florida beach bar. The food is good, and there is great entertainment here. Some of the best bands in Florida play at Bert's Bar. Pick a seat outside on the deck and enjoy the wildlife and sea life. You could get too relaxed here and not move from this Florida beach bar all day and night. That's okay. Bring your rod and reel and fish off of Bert's Bar deck. They advertise "dockside dining with a million dollar view." They should mention how relaxing it is, too.